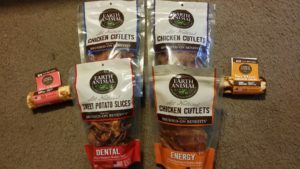 A wide array of great items for your pet dog! 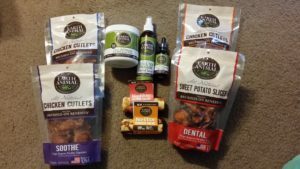 American Press Travel News – June 2 – We found this these products at the Global Pet Expo. Formulated by Veterinarian, Bob Goldstein. 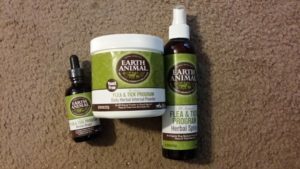 “Earth Animal” has a full line of Natural, Holistic Pet Care and animal health products for dogs and cats. Presently Bob and I are located in Tennessee and the fleas and ticks are out in full force. Earth Animal has a full line of products for flea and tick prevention. Rather than having your dog or cat consume poison every month, they have a flea and tick powder as well as herbal drops that you can add to your pets food on a daily basis. They contain a special blend of herbs and minerals that helps defend against fleas and ticks from the inside out. Additionally, they have an herbal spray that not only can you use on yourself, but of course on your pets, too!